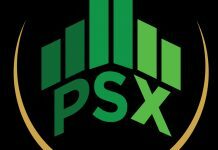 The Karachi Stock Exchange – 100 today lost 416 points as index followed on the international bearish run that has taken away steam from the global equities. US, Asian, and European stocks all fell during the day as investors and analysts remain confused as to the scale of the correction after the yearlong bullish run in the US Equities. On the corporate front, Cherat Cement Ltd. and Engro Fertilizer released financial results during the day. Engro Fertilizer could not top previous year’s revenues, company releases revealed a decline in company’s bottom line profits as well much below the industry expectations. Company’s bottom line shrunk by 2.17%, with total profit for the year totaling at Rs. 24.626 million against Rs. 25.177 million during the same period last year. Sector-wise all share index turnover was led by Cement (35.737 million), Commercial Banks (24.710 million), and Food & Personal Care Products (24.042 million) with Chemical (12.779 million) and Engineering (11.913 million) stocks trailing at the bottom. 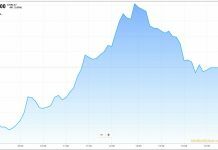 KSE – 100 Index at the day end moved a total of -416.62 points down by -0.94%, closing in at 43679.87 points with index high-low range of 44151.54 – 43629.82. KSE – All Share Index Volume was at 245.846 million shares, value of shares traded for all-shares index reached PKR 9.473 billion. The index movement was limited within the 521.72 points range. 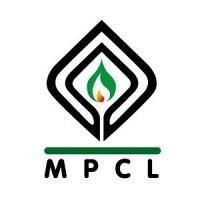 20 companies closed up, whereas 67 were down at the day end. Tokyo, April 22: Chinese stocks started the week on a positive footing Monday but trade was lacklustre with many major global markets closed for Easter and Japanese shares drifted lower. The benchmark Shanghai Composite Index appeared to gain some traction from comments by Chinese policymakers reiterating support for the economy at a meeting of top officials last week. The benchmark Shanghai Composite Index opened 0.24 percent higher, or 7.69 points, to reach 3,278.49 points. The second-tier Shenzhen Composite Index was fractionally higher at the opening bell. Meanwhile, Tokyo stocks moved lower as investors looked to square positions ahead of an unprecedented 10-day market closure in Japan to celebrate the enthronement of a new emperor on May 1. The benchmark Nikkei 225 index edged down 0.12 percent or 25.84 points to 22,174.72 in early trade. The broader Topix index was down more, off 0.24 percent or 3.94 points at 1,612.99. However, Hideyuki Ishiguro, strategist at Daiwa Securities, said there was a lack of "fresh market-moving events" driving trade early Monday. Traders may be holding fire as they await a two-day meeting of the Bank of Japan later in the week. Some companies, including gaming giant Nintendo, are also unveiling their latest results. Precision motor maker Nidec is reporting on Tuesday and industrial robot maker Fanuc the day after, noted Ishiguro, who added that investors would also be scrutinising results from US IT giants Amazon and Microsoft later this week. In other individual Japanese stocks, SoftBank Group was down 0.21 percent at 11,520 yen and Panasonic down 0.24 percent at 1,028.5 yen. Turning to foreign exchange markets, Resona Bank said in a commentary that trade would also be affected by the holidays. The dollar-yen rate was flat, with the greenback fetching 111.94 yen in early Asian trade, against 111.91 yen on Friday in Asia. Stephen Innes, head of trading at SPI Asset Management, said that a "positive confluence of events continues to support risk sentiment." The markets "should remain in a happy place provided the Federal Reserve stays on the dovish course as indeed cheap and plentiful money has a most soothing effect on equity investors," he said. Markets in Hong Kong and Australia were closed for the Easter break while many European and US markets will also not trade on Monday. Both Brent Crude and WTI oil markets were higher by nearly two percent, as traders await an announcement from the US that it will end its waivers for all countries in its sanctions on oil purchases from Iran. 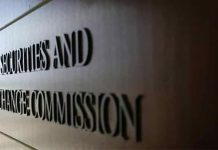 ISLAMABAD, Apr 21: Dr. Abdul Hafeez Shaikh, Adviser to PM on Finance, Revenue and Economic Affairs reviewed the proposed Assets Declaration Scheme - 2019 in detail with FBR officials today. Discussion focused on the scope and the features of the scheme. The Adviser instructed FBR to fine tune the scheme to make it simple to understand and easy to implement. He also emphasized that the objective of the scheme should be to make the economy more tax compliant and documented. ISLAMABAD, Apr 21: The government has paid Rs. 44 billion to the local textile industry under “Prime Minister Exports Enhancement Package” to enhance the country’s exports. cost-cutting technologies, particularly in the textile industry, a senior official in the ministry of textile industry told APP. He said that so far, State Bank of Pakistan (SBP) has received 276,000 refund claims under the package and they were processed accordingly. He said the package was introduced in 2016-17 and in first five months, the government had paid an amount of Rs. 5 billion, adding that in the fiscal year 2017-18 the government had cleared the refunds amounting to Rs. 26 billion. He said that in the last seven months, the government had paid Rs. 11 billion in outstanding claims, adding that pending liabilities of Rs.23 billion would be paid off by the government in next few months. He said, “We are committed for the execution of PM export enhancement package for development and growth to the textiles sector for increasing country’s export.” He further said the priority of the government is increasing the country’s exports and job opportunities for the people. He said that the textile sector was also working towards modernizing and improving the skills of textile workers by using modern technology and tools. The official said that textile sector is back bone of the country’s exports and the government is committed to provide all facilities for increasing the exports in textiles sector. April 21, 2019: The textile exports from the country witnessed nominal increase of 0.08 percent during the first three quarters of the current fiscal year compared to the exports of the same period of last year. The textile exports from the country during July-March (2018-19) were recorded at $9991.428 million compared to the exports of $9983.065 million during the same period of last year, according to the latest data of Pakistan Bureau of Statistics (PBS). The textile commodities that witnessed positive growth in external trade included knitwear, exports of which grew from $1971.906 million last year to $2155.039 million during the current fiscal year, showing growth of 9.29 percent. The exports of bedwear also increased by 2.69 percent, from $1674.096 million to $1719.185 million whereas the exports of tents, canvas and tarpaulin increased by 3.49 percent, from $65.953 million to $68.252 million. The exports of readymade garments grew by 2.02 percent, from $1918.313 million to $1957.018 million and the exports of made-up articles (excluding towels) increased by 1.26 percent, from $513.364 million last year to $519.857 million, the data revealed. Meanwhile, the textile commodities that witnessed negative growth in external trade included raw cotton, exports of which shrunk by 71.84 percent, from $55.825 million last year to $15.721 million. The exports of cotton yarn also decreased from $987.797 million to $835.325 million, a decline of 15.44 percent whereas the exports of cotton cloth slid by 2.09 percent, from $1630.268 million to $1596.271 million. Similarly, the exports of yearn (other than cotton yarn) decreased by 3.23 percent, from $23.328 million to $22.574 million while the exports of towels decreased from $598.845 million to $587.779 million, a decline of 1.85 percent. The exports of art, silk, synthetic textile also slid by 3.21 percent, from $227.770 million to $220.453 million whereas the exports of all other textile materials decreased by 6.91 percent, from $315.595 million to $293.796 million. Meanwhile, on year-on-year basis, the textile exports from the country witnessed negative growth of 9.47 percent in March 2019 compared to the exports of March 2018. The textile exports during March 2019 were recorded at $1088.870 million against the exports of $1202.780 million. On month-on-month basis, the textile exports from the country also decreased by 0.12 percent in March 2019 when compared to the exports of $1090.140 million in February 2019. It is pertinent to mention here that the country's merchandize trade deficit plunged by 13.02 percent during July-March (2018-19) as the deficit contracted by over $3.544 billion to $23.672 billion in the period under review against the deficit of $27.216 billion recorded during same period of the previous year. The exports during the period under review witnessed an increase of 0.11% to $17.08 billion from $17.064 billion during July-March (2017-18). On the other hand, the imports declined by 7.96% to $40.755 billion from $44.281 billion recorded during first nine months of current fiscal year, according to data released by Pakistan Bureau of Statistics (PBS). On year-on-year basis, the imports into the country witnessed negative growth of 20.88% during March 2019 when compared to the imports of same month of last year. The imports during March 2019 were recorded at $4.155 billion against the imports of $5.25 billion in March 2018. During the outgoing week, benchmark index witnessed volatile trading, the index lost 45 points and settled at 37,292 index level. The week started on a positive note with news that Pakistan is close to finalizing the bailout package after meetings with IMF held in Washington. However, news that SBP is considering a proposal for implementation of Treasury Single Account (TSA) dragged down banks by midweek. After that, on Thursday, Finance Minister’s sudden resignation from his post further added to the volatility, as market took it positive. Additionally, clarification regarding single treasury account by SBP further lifted the index up. On Thursday, Finance Minister Asad Umar stepped down from his position at the Ministry of Finance after Prime Minister Imran Khan carried out a cabinet reshuffle. Hours after Asad Umar announced his decision to quit as finance minister, Prime Minister made major changes in his cabinet with a few big shots removed from key positions and newcomers taking over important portfolios. PM Office not only declared appointment of Dr Abdul Hafeez Sheikh as the adviser to the PM on finance, but also announced changes in the portfolios of several other key cabinet members, including Federal Minister for Information. On Friday, during a media talk in Islamabad, Advisor on Finance, Dr. Hafeez Shaikh said that the Budget will be presented on May 24, as originally planned. Meanwhile, Advisor to the Prime Minister on Commerce, Textile, Industries and Production, Razzak Dawood on Friday said that negotiations for Free Trade Agreement with China have been completed and agreement would be signed on 28th of this month. On Wednesday, The State Bank of Pakistan conducted an auction in which it sold Pakistan Investment bonds worth Rs.227.98 Billion for 3 Years (Fixed Rate) and 10 Years (Floating Rate). 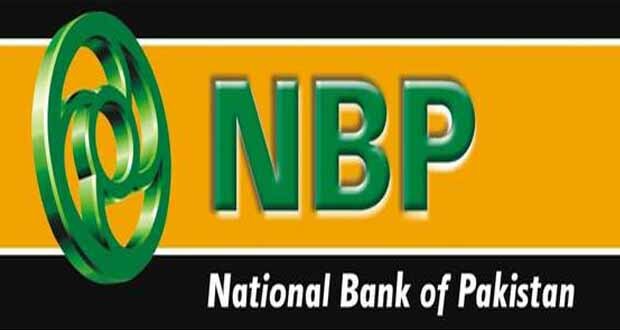 In the fixed rate auction, the SBP picked up Rs.162.664 Billion for 3 years at a cut-off yield of 12.20 percent, while the bids for 5 and 10-year PIB’s were rejected. The State Bank of Pakistan on Wednesday issued a clarification regarding news circulating on social media regarding the Government’s plan to introduce Treasury Single Account (TSA) in which it clarified that no decision has yet been made to implement the TSA. Moreover, the federal cabinet failed to develop a consensus on the Tax Amnesty Scheme in its second meeting on Wednesday with Prime Minister Imran Khan in the chair and asked more time to formulate laws pertaining to new tax amnesty scheme. On Tuesday, Minister for Finance Asad Umar Monday said Pakistan and International Monetary Fund (IMF) have reached a consensus on all outstanding issues to finalize the bailout package. The loan package from the IMF could be $6-8 billion,” said the finance minister talking to media after attending National Assembly’s standing committee on finance and revenue. 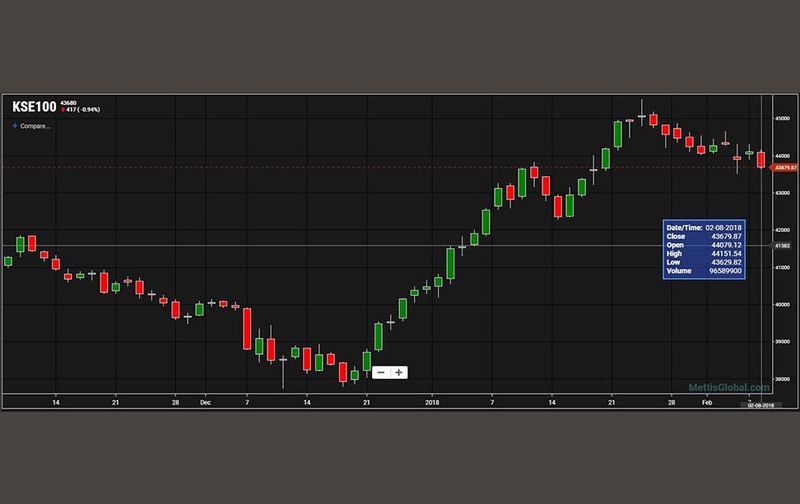 The weekly Sensitive Price Index (SPI) for the combined group Inched up by 0.39% during the week ended April 18, 2019, whereas SPI compared to the same period last year has marked a rise of 12.42%. Pakistan’s forex reserves decreased by US$ 1,032.40 million as the total liquid foreign reserves held by the country stood at US$16,195.90 million on April 12, 2019. As of April 5, 2019, the government sector of Pakistan borrowed a net sum of Rs.708 billion from various sources during the ongoing fiscal year. Credit given to the Non-government sector during the current fiscal year has reached Rs.881.98 billion as of April 5, 2019, i.e. around 44.6 percent higher than the same period last year. The over-all output of Large-Scale Manufacturing Industries (LSMI) during the month of February 2019 decreased by 1.49% as compared to February 2018, and 5.11% as compared to January 2019. Exports from Pakistan during March 2019 were recorded at $1,979 million (provisional) as compared to $1,889 million (provisional) in February 2019 showing an increase of 4.76% but decreased by 11.13% as compared to $2,227 million in March 2018. Foreign Direct investment (FDI) plunged by 51.4% to $1.273 billion during July to March FY19 period. Pakistan has recorded a surplus of $79.26 million in trade of food products for March 2019 as export worth $472.08 million was reported against imports worth $392.8 million. Pakistan’s outstanding debts at the end of March 2019 stand at a massive sum of Rs.18.67 trillion which means around Rs.1.46 trillion were cumulatively accumulated during the nine months (July 2018 – March 2019) of ongoing fiscal year (FY19). Current account deficit (CAD) in first nine months (July to March) FY19 has fallen by 29% to $9.588 billion compared to $13.589 billion in same period last year. The imports in March 2019 stood at $4,155 million (provisional) as compared to $4,180 million (provisional) in February 2019, showing a decrease of 0.60 %. MG Link is a leading source of data, Financial Market Intelligence and News. Operating from offices in Karachi, Lahore, and Islamabad, the company provides comprehensive information on the Forex, Money Markets, Central bank, Economic indicators, Equities, Commodities and mutual fund market. As the only registered business news agency in Pakistan we take pride in the speed and accuracy of our news.